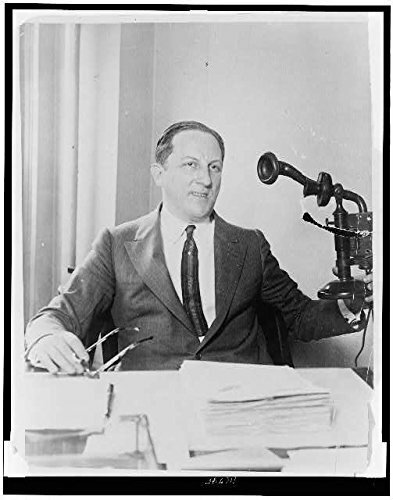 Photograph Description: Arnold Rothstein, half-length portrait, seated behind desk, facing front Published: [between 1920 and 1928] Notes: Photograph by Pictorial Press Photos. Copyright by Pictorial Press Photos NY. New York World-Telegram and the Sun Newspaper Photograph Collection . Subjects: Rothstein, Arnold,--1882-1928. Photographic prints--1920-1930. Portrait photographs--1920-1930. Photograph Size: 80% of photographs are 9x12. All other photos are 8x10 and in some rare cases 8x12 - All photographs are ready to frame in standard frame sizes: 8x10, 8x12 or 9x12. To keep costs as low as possible, we do not measure and list each photo size. Please feel free to contact us to inquire on a photo's size. If you have any questions about this product by Infinite Photographs, contact us by completing and submitting the form below. If you are looking for a specif part number, please include it with your message.